Why a mobile device strategy is unlikely to last? The mobile device market today moves at an incredible speed. The market leader and its technologies just five years ago have today been made completely obsolete and the trend is expected to continue at an ever increasing pace. This article goes beyond the considerations of a single deployment project and relates mostly to the long term strategic choices a corporation has to make in today’s mobile device market. At the same time most large enterprises will have standards around pretty much any technology device and software in use so the natural reaction is to look at standardization of the mobility market as well. While you should welcome the idea to thoroughly study the market, you should also realize that especially device standards are unlikely to stick for very long and a highly flexible approach is beneficial. Also, the speed of change is likely to outdate some of today’s technologies very quickly which should be reflected on the horizon to which a standard will be applied and the usefulness standardization itself. When the banking industry is faced with similar unknowns or risks, it reacts with hedging and this very strategy can be applied here as well. Hedging basically tells you to not invest or bet by placing all eggs in one basket and allow for these future risks/changes to be introduced and you already have a head start on multiple fronts. This may sounds strange when it comes to IT strategies, but here it makes more sense than you may think. 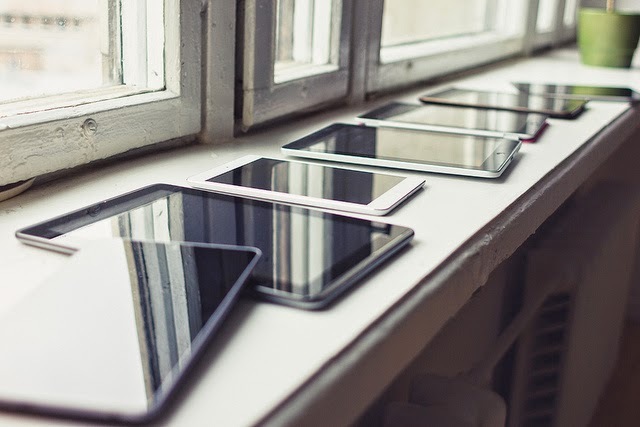 By allowing for multiple device standards including competing technologies into your organization, you avoid a future scenario where you have no experience in whatever is the prevailing solution over the next few years. BOYD is relevant here not because it’s a driver but has synergies with the proposed hedging strategy proposed above. See the Gartner Wisdom on BOYD. Most solution providers on the market today have realized that it’s unwise to bet on a winner in the current mobility market and the trend is to develop device independent or multi-platform solutions. This can be realized through open standards like HTML5, specialized interpretation layers such as Titanium or PhoneGap or natively coding several mobile frontends. The pros and cons of each scenario is another upcoming topic for this blog. These solution providers are actually making the very same hedge in today’s mobility market and prefer not to bet on a particular technology and hence ensure to bet on all major players. Hence it makes sense to allow for these differences to also play out in the enterprise enablement of a mobile device strategy. So to summarize my message: Any enterprise today who’s trying to standardize its mobile device offering should seriously consider and even drive to have a multi-device/multi-vendor standard. There is nothing wrong with such a strategy in my mind it’s the only sane thing to do in today’s mobile device market and when hit by the typical objections of higher Total Cost of Ownership (TCO), the long term reasons which trump this objection are listed above. The strategy should also specify the fact that deployment and support functions are built to allow for the multi-device strategy.